I have a bunch of youth group teenage boys that come to my place each week to spend time in my shed building stuff. We managed to get some free 9kg LPG cylinders that were end of life so decided to make some cookers. Tanks were vented, washed inside, and all safety precautions followed to prevent explosion. 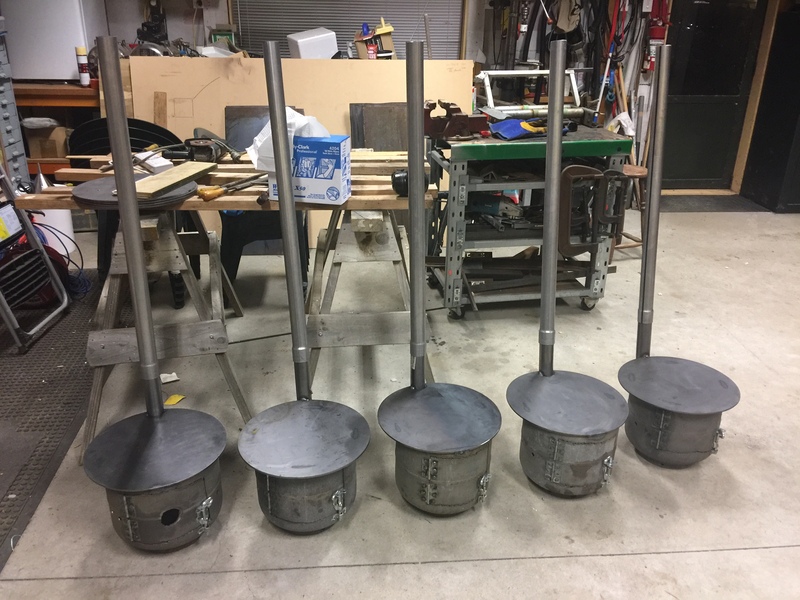 They plasma cut the tops off, cut in the doors, welding on hinges and a door latch, drilled vent holes, hole sawed the chimney in and welding in the exhaust pipe. We got some 6mm plate laser cut for the cooking surface so that it was nice and flat. So they used drills, grinder, plasma cutter, mig welder etc, and no injuries! The had the freedom to place the cooking plate central, or off set, and the chimney could be straight up and down or laid back. Was interesting watching their personalities come out in how they wanted their cooker to be. I had a tank left over so thought a fire box for the Potjie might be the go. veitnamcam, Barefoot, Smiddy and 17 others like this. gadgetman, tetawa, mikee and 2 others like this. Great to see your generosity in passing on your skills to the next generation. Very cool. I wish I had a shed to play in at that age. in fact I wish I had one now! Yea, it does get a bit costly when I have to buy the materials, but its worth the investment. 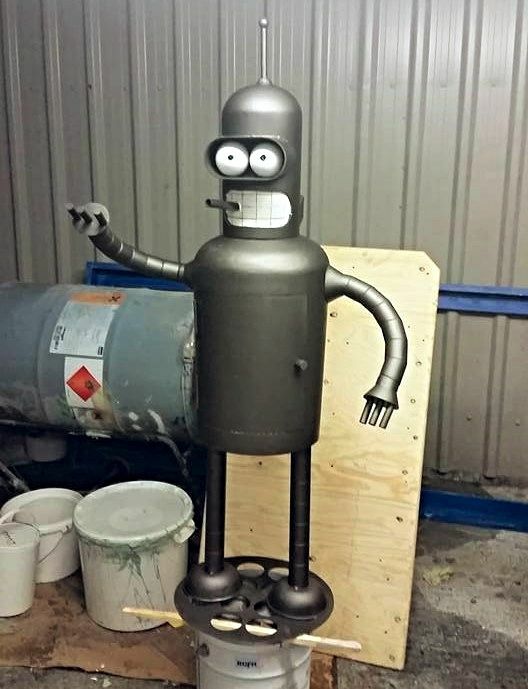 Plan is to have it on big industrial casters so that we can load it onto the trailer, drive to the location, then roll it to the tailgate and have it at the right height for cooking. veitnamcam, gadgetman, hotbarrels and 5 others like this. 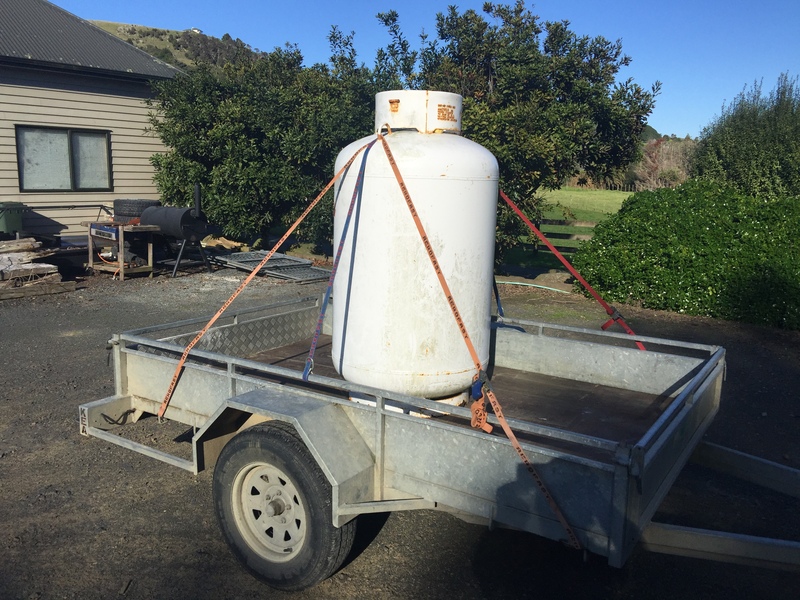 I've got a couple of 45kg tanks sitting outside the shed as well which I am trying to come up with a plan for ……. 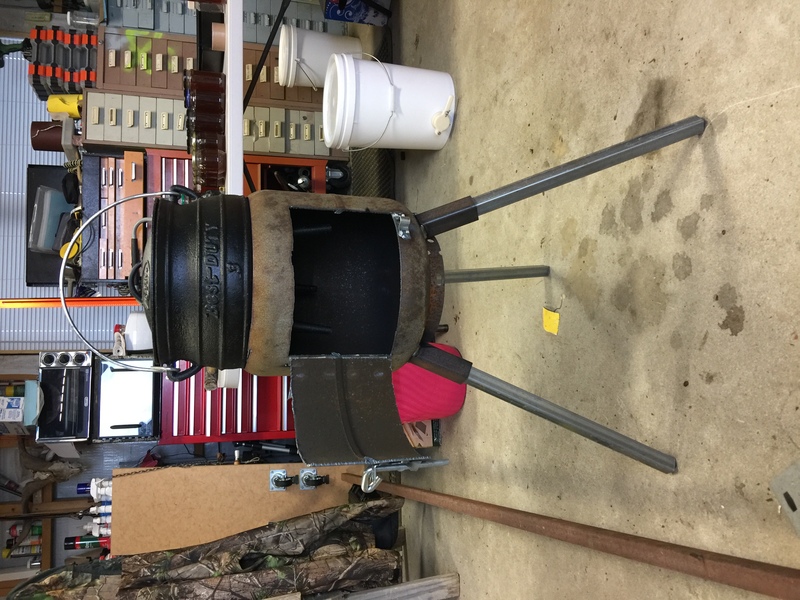 have a look at an OZPIG type fire/cooker they are along similar lines but cylinder is sideways/laid down ,great work on passing on skills. Try the scrappys for your cylinders, they have to cut holes in cylinders to quit them and don’t like doing it. I got a couple of large galv. ones, out of test, given to me! seen them done back in oz where they split them in half and you invert the top to use as the cooking plate. Short legs-throw in the truck for camping. Yep, I have got all of the tanks for free, except for the 222kg one on the trailer, which are in high demand and cost $200. The tank testing place send out 2 skips of reject tanks every three days to the scrappys!! MAYBE you could get young fellas to build a few more and flick them off to forum members for some "pocket money" for the lads and recoup your costs????? Tommy, timattalon and berg243 like this.